New Challenger Approaching: Lion Forge has joined the battle! Wait, sorry, this isn’t Super Smash Bros. This is WWAC’s pubwatch series! I’m Jameson Hampton and I’m happy to present to you the first edition of our newest pubwatch: Lion Forge! 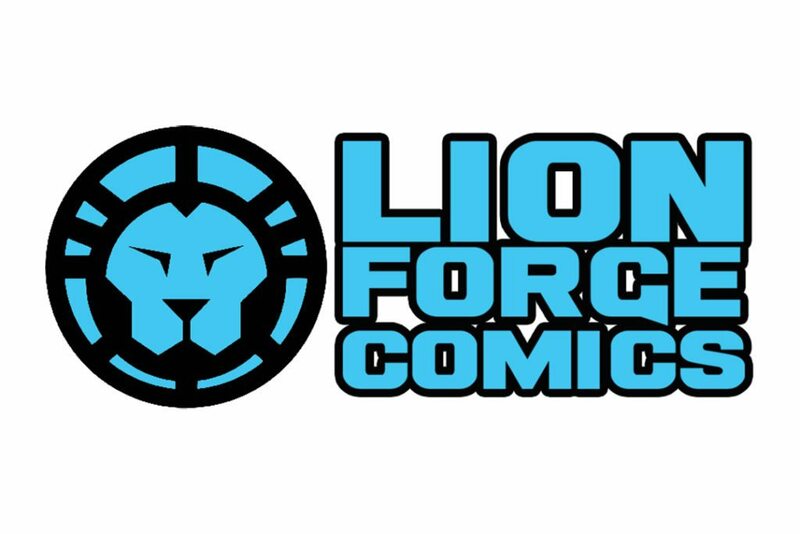 Lion Forge is known for its Catalyst Prime superhero universe, a superb lineup of graphic novels, and its CubHouse, Caracal, and Roar banners for kids and teens. And now, never again do you have an excuse not to be up to date on your Lion Forge news and releases! You’re very welcome. 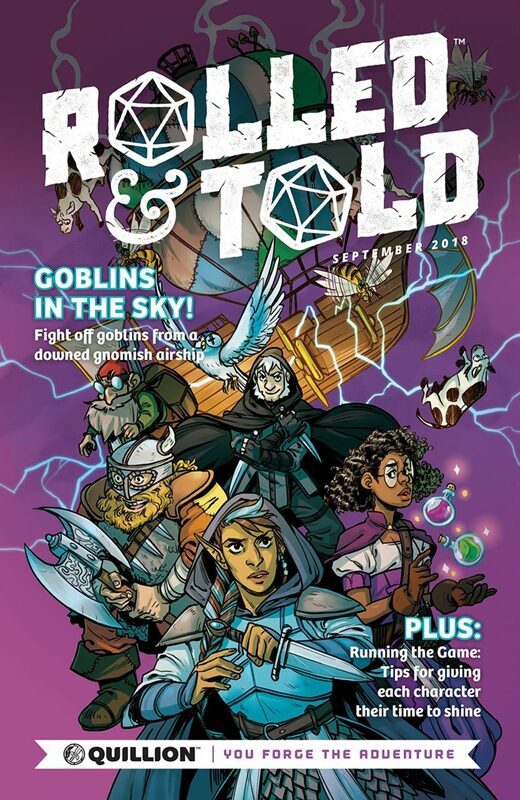 Rolled & Told is a new gaming magazine that I’m super excited about. While it features some art and short comics, it’s primarily made up of gaming content, like maps, character sheets, monster stat blocks, and fully playable modules for Dungeons & Dragons! The theme of this first full issue is “sky pirates” and the main adventure is a very cute story about a gnomish airship that was overtaken by goblins that would be easy to run as a one-shot or drop into any existing 5e campaign. I loved the adventure, particularly as a lover of gnomes, and the flavor about gnomish culture is super charming! I also loved the map of the airship and the charts full of fun, esoteric pirate-themed trinkets and treasures! Upgrade Soul is a graphic novel that’s both very long and very intense. The story is about a couple who elects to be the first human test subjects for the “Upgrade Cell” project, a cutting-edge medical procedure to genetically enhance people to their full physical and mental potential. Honestly, I don’t want to give away too much of the story because it’s shocking at every turn! But more than just the plot, Upgrade Soul is fascinating because it fields so many compelling philosophical questions about what it means to be ourselves and the subjectivity of what ways are “better” or “worse” to be. The art is incredibly evocative, almost scary at times, and there’s a sense of both dread and peace that permeates the entire book. If you’re a Voltron fan and you haven’t been keeping up on the latest Voltron comics, it might be time to start! While I wasn’t absolutely sold after issue #1, I had a feeling the series would pick up—and it has! In fact, I absolutely loved the premise of issue #3. 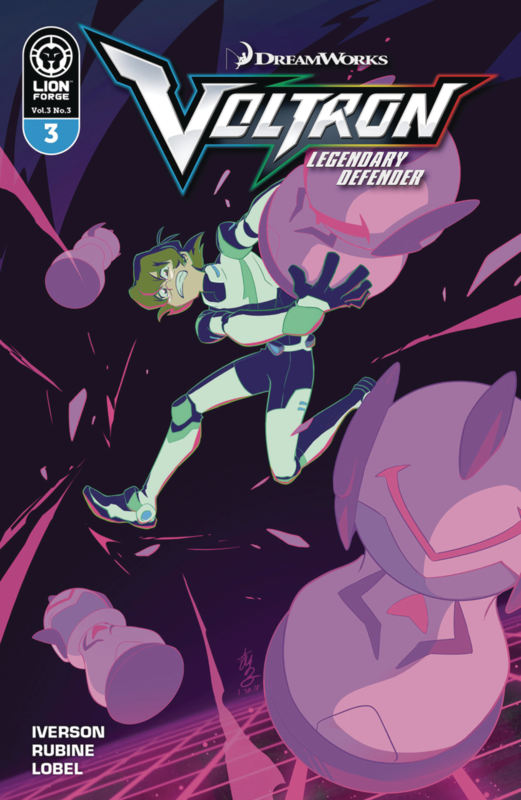 In order to get someone in position inside a Galra ship so they could lower the shields for the Voltron Coalition’s attack, they got Pidge arrested, but before doing so, they erased their memory so they couldn’t be detected as a Voltron paladin by the pesky Galra security. When Pidge wakes up in prison, the only clue about the plan is a code written on their arms and they have to figure out how to turn off the shields in time to save their friends without even knowing who they are! Cute and thrilling! And in other news, the news! 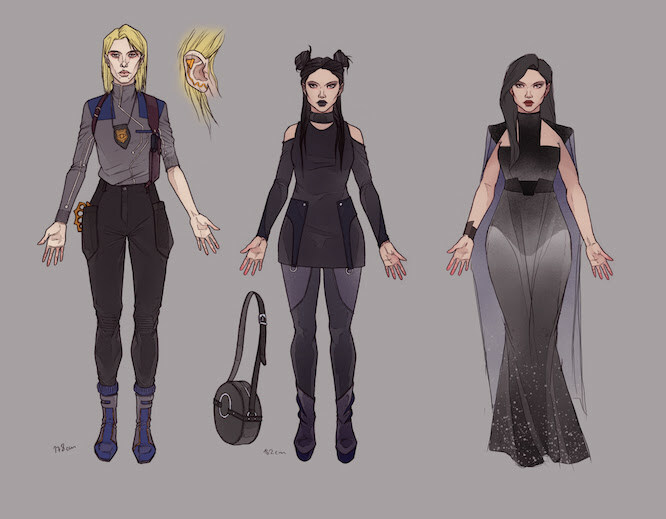 Leah Williams, formerly of Marvel and BOOM!, will be teaming up with artist Lenka Šimečková in April of next year for a ten issue run of r(ender);, a series that Williams has joked is “like the X-Files, but lesbians and magic.” It tells the story of Emie Ocampo, a photographer with the ability to develop photos from the retinas of the recently dead that depict the last thing they saw before they died. After being arrested on charges of magical fraud, she teams up with detective Natalie Bixel to solve a series of murders using her unique “magic” power. “r(ender); is the one story I’ve been desperately hungry to tell ever since I was a teenager,” Williams said, and it’s always exciting to read a series that’s such a culmination for the creator. If you can’t wait until April, don’t miss Diamond’s February-dated PREVIEWS catalogue for a sneak peek! Lion Forge announced during NYCC that a new title would be joining the lineup on their Caracal banner, which targets the 8-12 demographic. The Underfoot explores what life is like for the animals in a world where humans—the “Giants-That-Were”—no longer thrive. 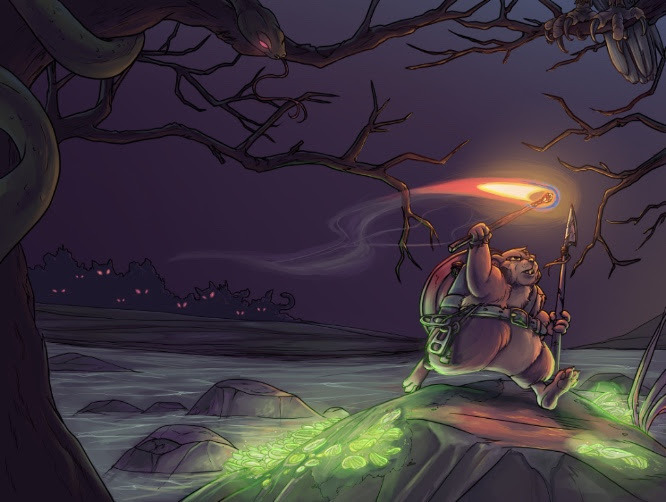 Written by Ben Fisher and Emily S. Whitten and illustrated by Michelle Nguyen, Volume 1 follows the story of the newest recruits to the Hamster Aquatic Mercenaries and the dangers they encounter while defending their badger allies. It’s scheduled to hit shelves in April 2019, with two more volumes to follow! 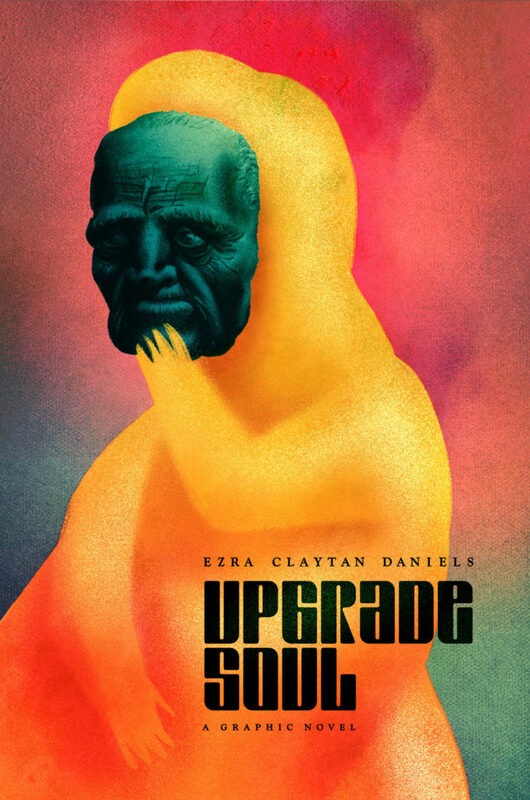 Just before the release of Upgrade Soul, Lion Forge announced an exciting new partnership between author Ezra Claytan Daniels and film producer Adam Goldworm of Aperture Entertainment. Yes, a movie version of the thought-provoking graphic novel is in the works! Daniels has expressed his trust in Goldworm when it comes to bringing the idiosyncratic interactive story to the screen, noting that Goldworm’s previous work My Friend Dahmer is “one of the greatest comic-to-screen adaptations of all time.” It’s a team-up that’s certainly worth keeping an eye open for!